How Is the Lecture Best Used in Schools? Lecturing is a time-tested instructional method where an instructor who possesses the knowledge on a given topic delivers all relevant information to students verbally. This model dates back to Medieval Ages representing an oral tradition in contrast to providing information in print or other media. In fact, the word lecture came into use during the 14th century as a verb, "to read or deliver formal discourses." The person presenting the lecture was called a reader because information in a book was read to students who would then copy the information all down. During a typical lecture, an instructor stands before a class and presents information for the students to learn, but this method of teaching tends to get a bad reputation today. Thanks to the infusion of technology, instructors have the ability to provide a multi-media learning experience, by working to incorporate sound, visuals, activities, and even games into a classroom learning experience, and even provide opportunities for flipped classroom formats. So, does that mean that lectures no longer have a place in today's teaching landscape? There are a number of factors that can make a lecture successful or unsuccessful. These factors can include the acoustics in the room, the dynamic quality of the lecturer and his ability to hold an audience's attention, the length of lecture, topic and amount of information intended to be shared. Lectures are a straightforward way to provide information knowledge to students quickly. In a lecture, instructors have greater control over what is being taught in the classroom because they are the sole source of information. Students who are auditory learners may find that lectures appeal to their learning style. 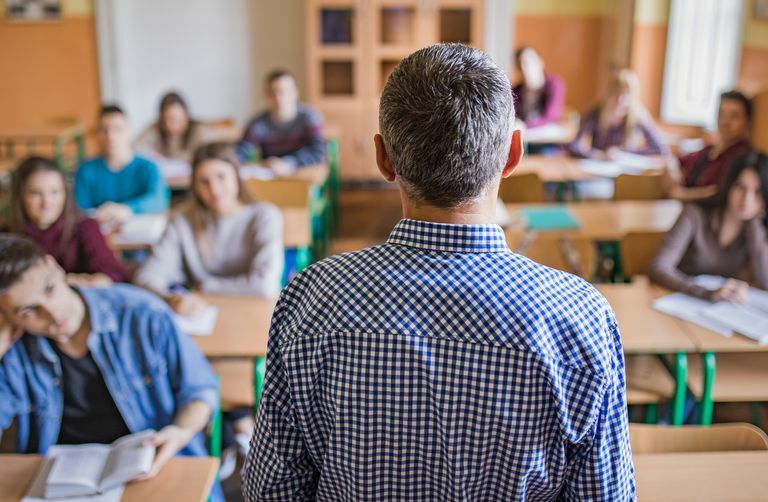 Most college courses are lecture-based, and as a result, many high school teachers imitate this style to prepare their students for the college lecture. Far from being a Medieval way to deliver information, the modern lecture can be very engaging. Many educational institutions now offer faculty recorded lectures for students. Massive Open Online Courses have video lectures available on every subject. 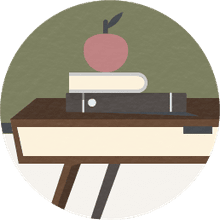 There are a number of schools that record teachers in lectures or that use pre-recorded lectures to support flipped classrooms or for remediating students who may have missed materials. Khan Academy videos are examples of short lectures on topics students need to review. There are also popular lecture series that have been recorded for general viewing and then used in classrooms. One of the most popular lecture series on culture is offered through the non-profit organization TED Talks with their series for schools, TED-Ed. The TED Conferences that host these talks began in 1984 as a means to spread ideas in Technology, Entertainment, and Design. This style of short lectures delivered by dynamic speakers became popular, and there are now hundreds of recorded lectures or talks on the TED website in over 110 languages. Students are expected to take notes while listening to a lecture. During a lecture, there is no discussion. The only exchange that may occur between the instructor and students might be a few scattered questions from listeners. Therefore, students who are not auditory learners or have other learning styles may not be as engaged by lectures. Such students may have a harder time absorbing the material. Students who are weak in note-taking skills may have trouble summarizing or in identifying the main points they should remember from lectures. Some students may find lectures boring; the length can cause them to lose interest. Because the instructor does all the talking, students may not feel that they are able to ask questions as they arise during lectures. Lectures do not meet the criteria in many teacher evaluation programs, such as in the Marzano or Danielson models. In those evaluation domains that rate classroom instruction, lectures are categorized as teacher-centered. They do not provide the opportunities for students to formulate many questions, initiate topics, or challenge one another’s thinking. There is no evidence of student inquiry or student contributions. During a lecture, there is no grouping for differentiation. The most important reason to reconsider the use of the lecture is that the instructor does not have the immediate opportunity to assess how much students are understanding. There is little to no opportunity for exchanges. Effective lectures need to be well organized and cover only what students can absorb during a given class period. Selectivity and organization are keys to effective lectures. Lectures are also only one tool in a teacher's instructional arsenal. As with all the other tools, lectures should only be used when most appropriate. Instruction should be varied from day to day to help reach the greatest number of students. Teachers should help students beef up their note-taking skills before they start presenting lectures. Instructors should also help students understand verbal clues and learn methods of organizing and taking notes. Some schools suggest providing a handout listing key points of the day's lecture to help students focus on the major concepts to be covered. Preparatory work should be conducted before a lecture even begins. These steps are key to helping students be successful and fully understand the subject and content the teacher hopes to convey. A lecture may be necessary to improve student understanding, but a steady stream of lectures does not allow for an instructor to differentiate for a student's needs or assess a student's understanding. On balance, lectures should be implemented less often than other instructional strategies.